A recent game, and one of the most interesting set of rules of the last few years. 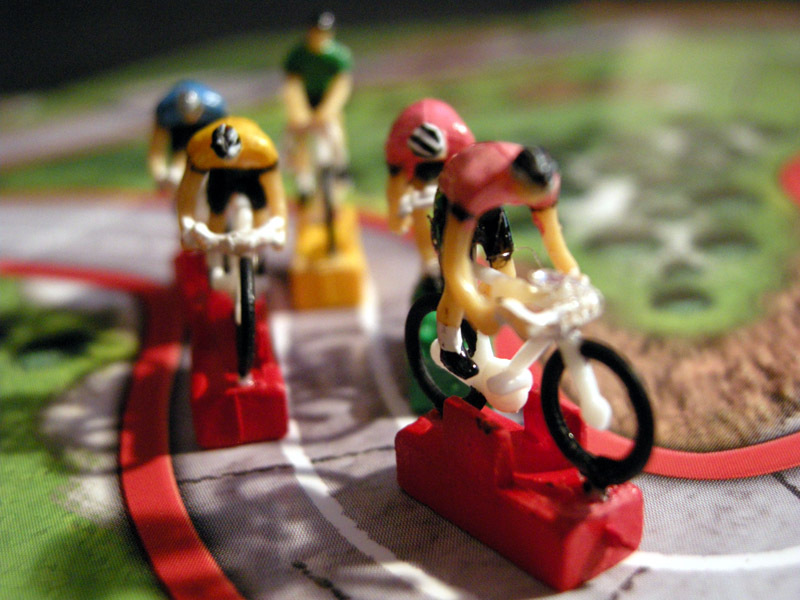 The most interesting part is the peloton counter. 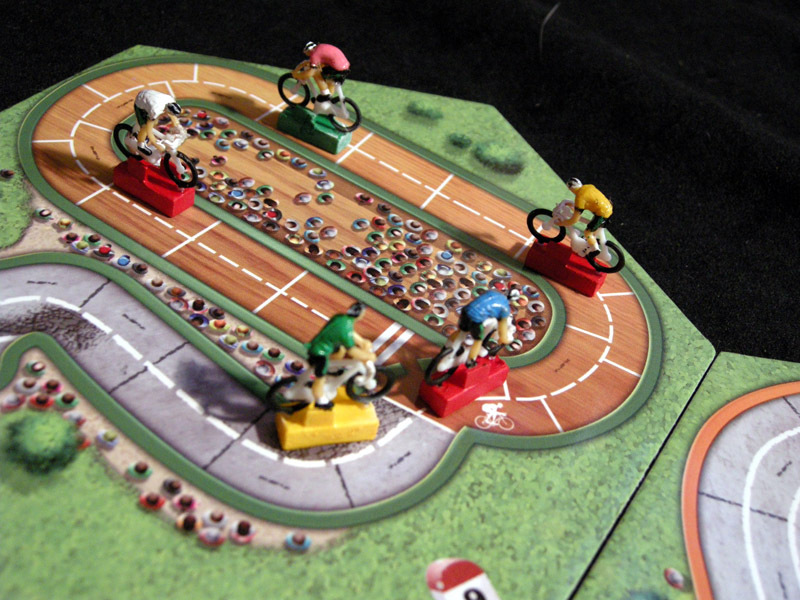 At the beginning of the race all riders are in the peloton, which is the only counter on the board. 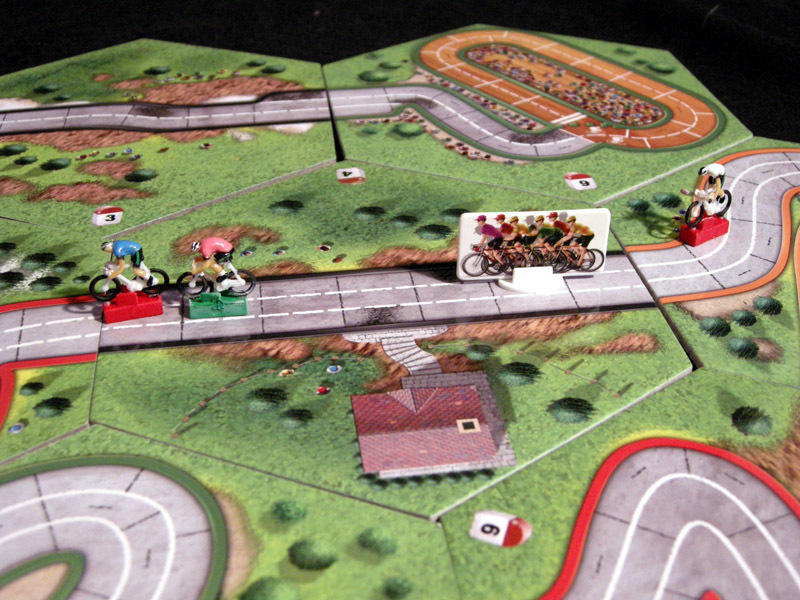 When riders break away (or are left behind), they are added to the board. 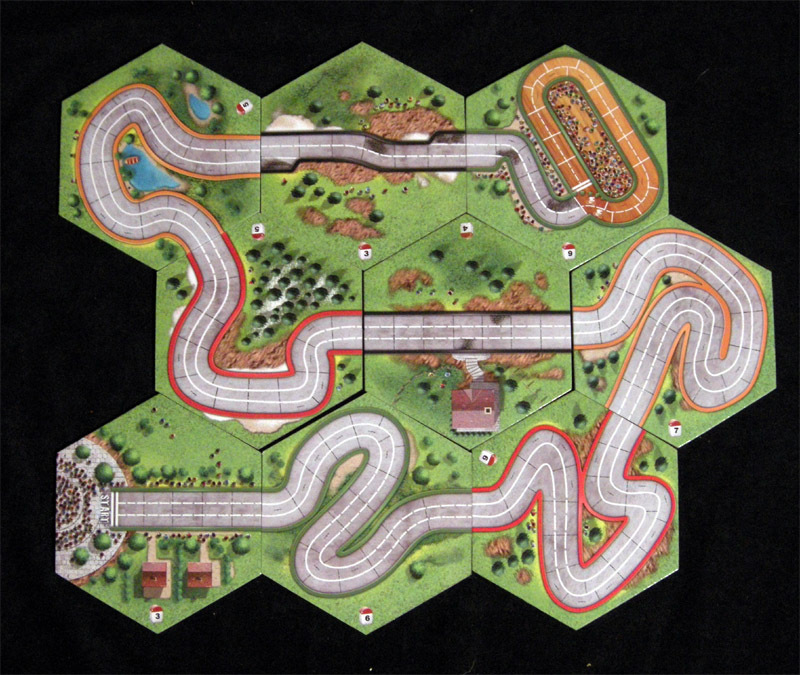 Typical configuration at the beginning of the race. 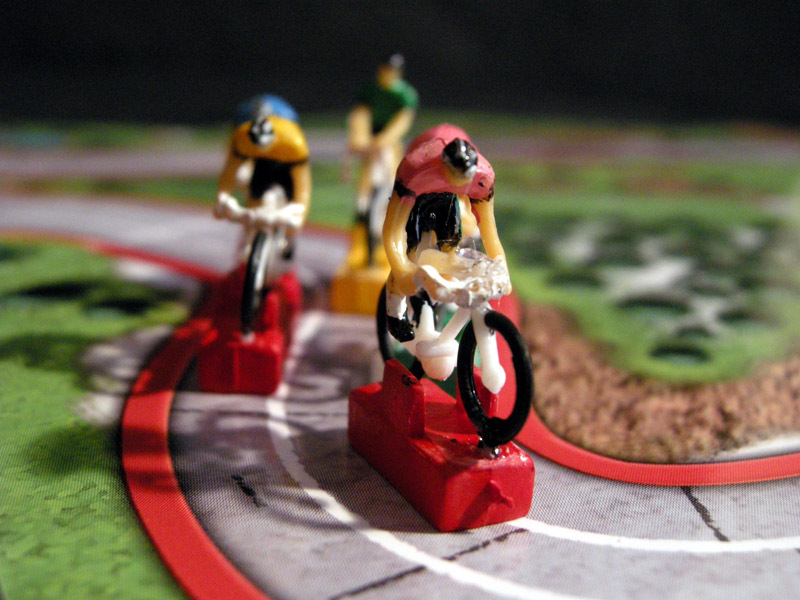 Two riders on a breakaway, and one already left behind. All the rest remain in the peloton. 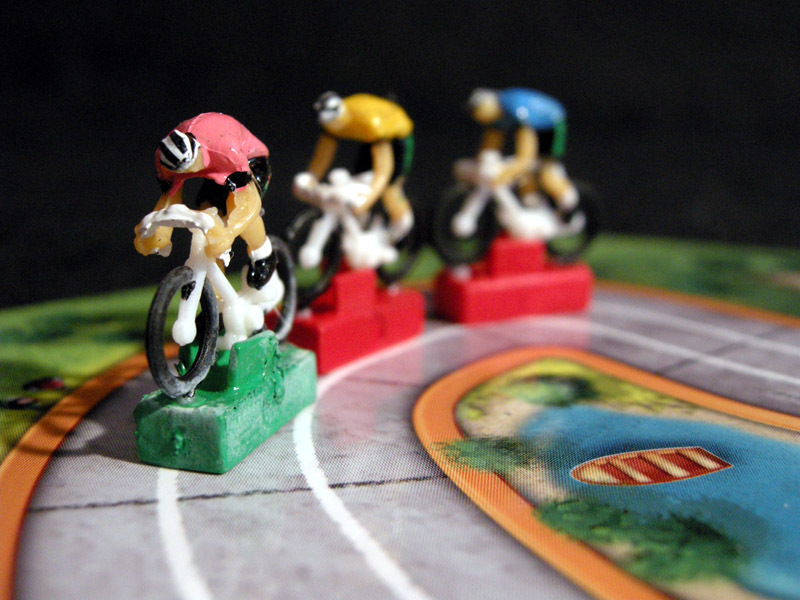 Among the many different finishes provided, my favorite is the cycling track. 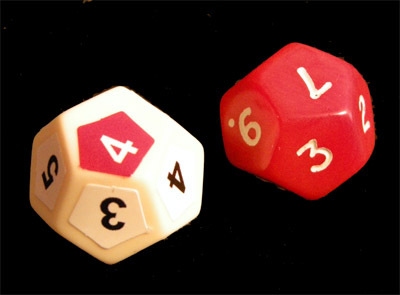 A normal D12 and a modified one. I must thank the makers of this game for sending me a free copy. 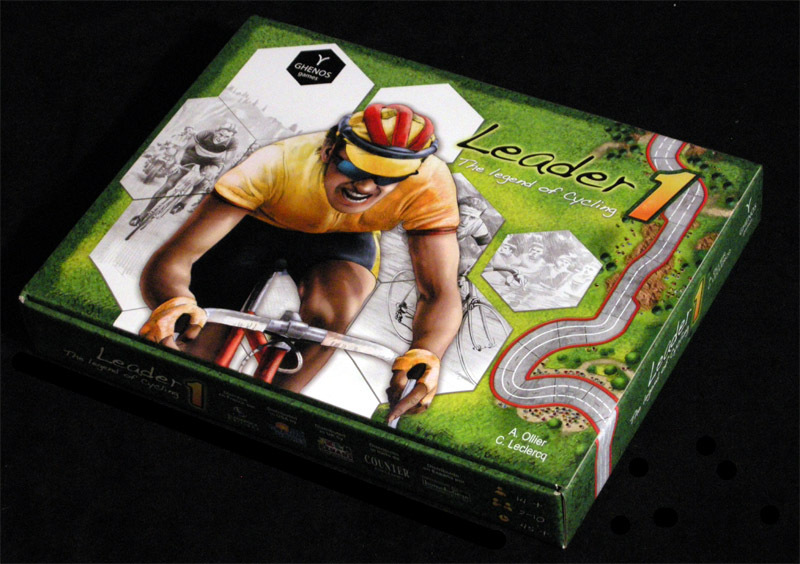 In search of more realism, Daniel Kazaniecki has added so many variants to Leader 1 that he feels he has almost a new game. He has called it "Leader 2". 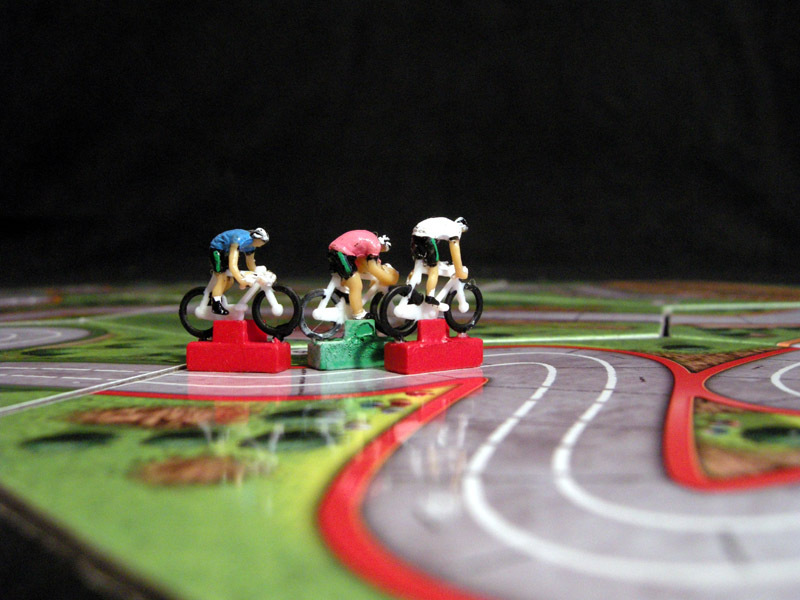 The rules can be downloaded from Boardgamegeek. 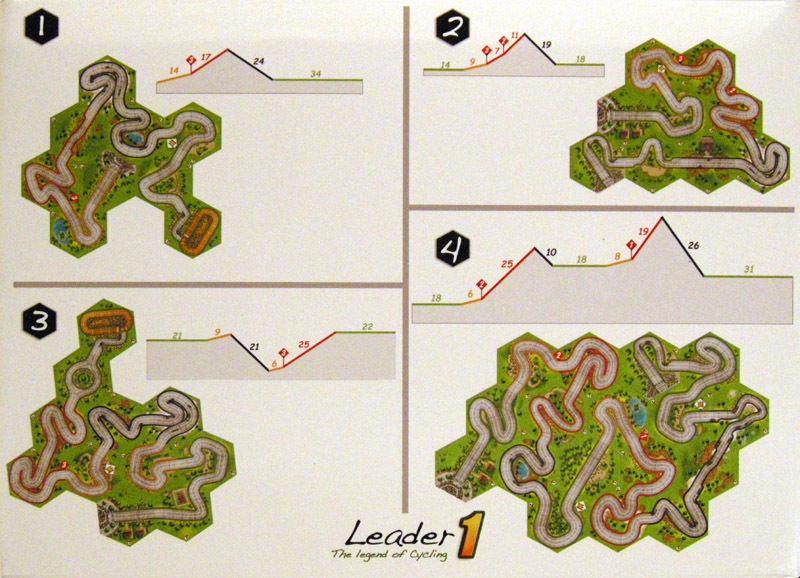 Appendix 5: stage races "fame counter"
Up to you to judge if it is a different game, but the variants are interesting in any case.